That interest in taking things apart would lead Michal to a level few reach: the study of solid-state nuclear magnetic resonance (NMR) spectroscopy, which allows for materials to be observed at the level of the local magnetic fields surrounding atomic nuclei – or as “taken apart” as anything is ever likely to get. While traditionally this requires expensive, proprietary scientific instrumentation, Michal and colleagues are investigating an alternative approach: home-made spectroscopy equipment. “I’ve been working with commercial and ‘home-built’ NMR spectrometers for about 25 years,” Michal explains. 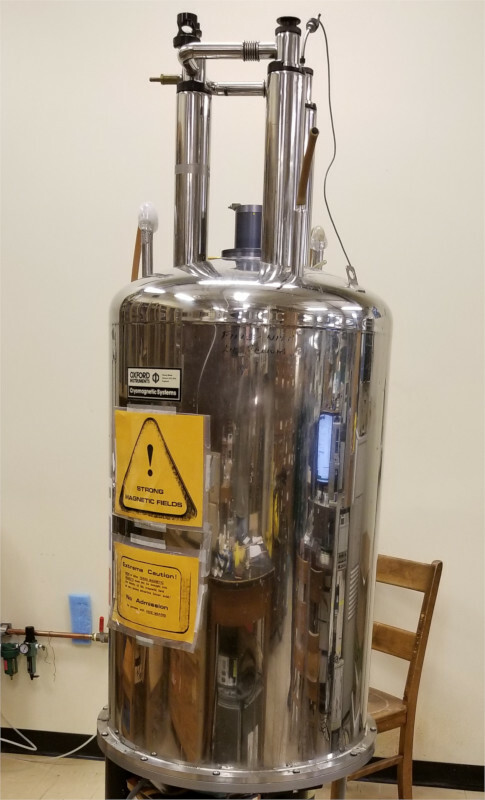 “In some sense a general purpose research NMR spectrometer is a software defined radio, though historically they’ve been extremely expensive and have had limitations on phase resolution and the complexity of what can be transmitted. The result of those experiments: An NMR spectrometer console capable of demonstrating high-resolution and wide-line spectroscopy with line widths of up to 50 MHz, a considerable improvement on the earlier low-field implementations that inspired Michal’s efforts. There’s a way to go before people will be carrying out NMR spectroscopy in their living room, though. “It is definitely a step in that direction,” Michal explains. “It certainly makes the RF part of the hardware affordable to anyone who wants it. For NMR though, you also need a magnet. In research labs, that magnet is usually a large, expensive, superconducting magnet. Michal’s build combines the LimeSDR open-hardware software defined radio, based on Lime Microsystems’ LMS7002M field-programmable radio frequency (FPRF) product, with a custom pulse programmer – used to configure pulse timing and control the blanking of high-power amplifiers, switch receiver input gates, and other NMR components – built using an Arduino Due microcontroller board. 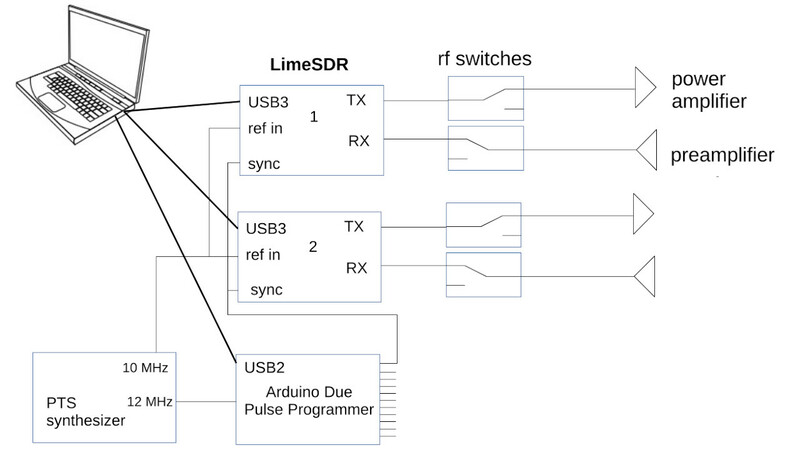 In future designs, though, it’s possible that the LimeSDR could handle both tasks, using the field-programmable gate array (FPGA) with custom firmware and the board’s eight general-purpose input-output (GPIO) pins. Those features – primarily the need to synchronise timing with a high accuracy to the Arduino-based pulse programmer – were added by modifying the publicly-available source code for the gateware which runs on the LimeSDR’s FPGA hardware. With ready access to the original source code and a permissive licence which encourages modification and experimentation, Michal was able to implement a system which provides nanosecond reproducibility in the timing of events occurring on the two separate devices – something that would not have been possible on a proprietary, closed-source device. Michal’s experiment proved beyond question that the LimeSDR is at home in an NMR spectrometer: in a pre-print copy of his paper, “A low cost multi-channel software-defined radio-based NMR spectrometer and ultra-affordable digital pulse programmer,” in which the resulting device is claimed to be the first multi-channel NMR spectrometer to be built around a commercial off-the-shelf SDR, Michal concludes that the creation “provides competitive performance” having showcased high-resolution and wide-line spectroscopy – at one point even using only the components built into the LimeSDR itself, without an external power amplifier or preamplifier. That’s not to say Michal doesn’t have a wish-list for a future LimeSDR design that could improve the project, of course. “An easy way to reset decimation/interpolation on RX/TX and on multiple boards so that samples can be synchronized amongst multiple channels,” he begins. “I’ve solved this – though it would be great to have a way to do this built-in that doesn’t involve quite so many hacks as I had to make. “An easier way to reset timestamps would be nice. Perhaps a ‘triggered start’ mode, where a t-start command is given over USB (which resets all timestamps to 0, and ideally resets all clock decimation and NCO phases to 0 – see a and B), then the FPGA waits for a GPIO trigger at which point everything starts. 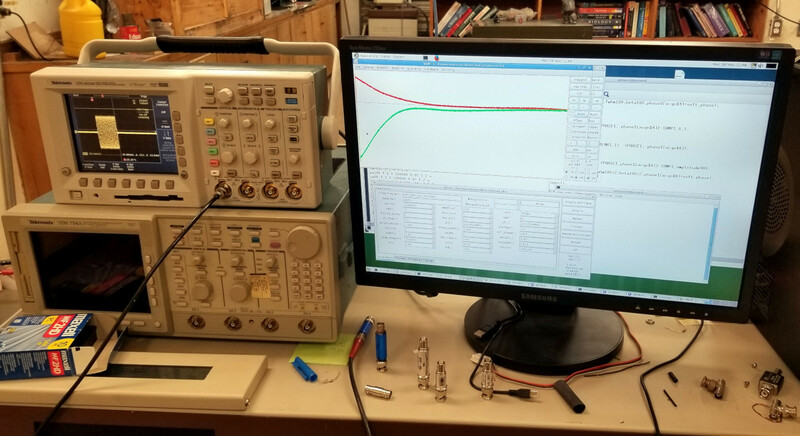 Michal’s research has been published in the paper A low-cost multi-channel software-defined radio-based NMR spectrometer and ultra-affordable digital pulse programmer, available now.